The Albert Nerken School of Engineering hosts small tours for prospective engineering students and their families. Before the tour, an admissions staff member will provide a brief overview of the engineering admissions process. All School of Engineering tours are led by our student tour guides and last approximately 1-1.5 hours. Registration is required. 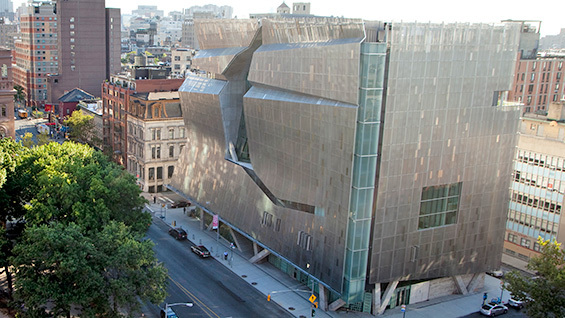 Tours will meet in the lobby of 41 Cooper Square. In addition to regular tours, the School of Engineering holds an Engineering Preview Day for interested applicants every fall. This year, Engineering Preview Day will take place on Thursday, November 8, 2018. This event is for prospective engineering students and their families. Guests will learn more about the Albert Nerken School of Engineering by visiting various engineering labs and interacting with members of the Cooper community, including faculty, staff, and current students. Engineering Preview Day will begin promptly at 4:30pm and conclude around 8:30pm. Event check-in and on-site registration will open at 3:15pm in the Foundation Building located at 7 East 7th Street. There will also be optional, pre-event tours of the Residence Hall from 3:15-4:15pm. Online registration for this event is now closed, but you will be able to register in person at the event. Full schedule available here! Plus, Click here to see the labs that will be on view!